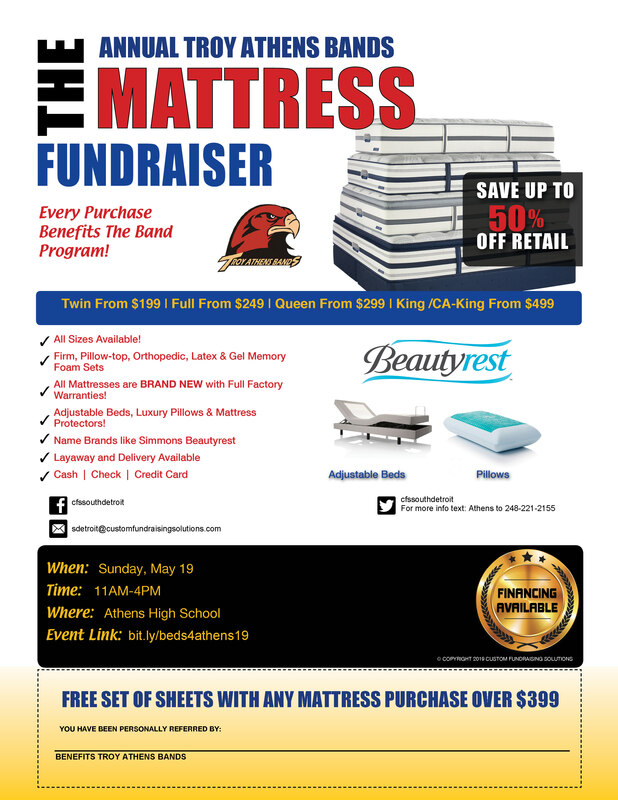 The Troy Athens Band Boosters hold various fundraisers throughout the year to raise funds for trips, camp, instruments, etc. Please check back often for updated information. Graduation Signs for 2019 Senior Graduates are now on sale!